As a small business, you need to protect your cash flow at all cost. As a collection agency that works with small business, we are having conversations every day with small business owners just like you that are having issues with cash flow. And one of the main reasons is that customers are not paying on time or not paying at all. There are so many reasons a customer may hold up on paying you. Some are legitimate such as going through a trying time or they just plain forgot. But as we know, other times they are refusing to pay for other reasons. Whatever the case may be, it is up to you to make sure you have a system in place to keep your cash flow positive. That means invoicing on time, following up when you don’t get paid and getting help when you have situations that require a little more assertiveness. Keeping customers current on their payments is fundamental to having positive cash flow. You might not like to keep paying for business insurance year after year but the one time you need it, you’ll be glad you had it. Even a small claim against your business can set you back an untold amount of money. And it could even bankrupt you. So I think we all agree that you need to make sure your small business is properly insured. What is a smart move is to make sure your insurance agent is reviewing your policies and your business annually. Doing so will accomplish a couple things. First, reviewing your insurance will make sure that you do in fact have adequate coverage. As time goes by, your business can change so it’s a very good idea to make sure you have ample coverage to protect your business. But it is also a great idea because your insurance agent can shop your business around and they might be able to find a better deal. Whatever you are paying, make sure it protects you fully and that your insurance agent understands your business and your potential liabilities. 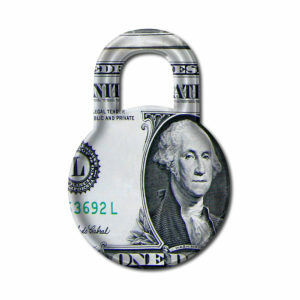 Technology as it relates to saving and protecting your money could be a long conversation. But we’ll summarize here a few important points. First, you have to have a back up plan. This is not even negotiable. In this day and age of potential hacking and security breaches, you have to make absolutely sure you are protecting all your data. Think just the big companies get hacked? Wrong…Everyone can be vulnerable to a security attack on your technology. You see all those spam emails coming in with strange links? That is someone trying to hack your computer. You may be doing on-site backups in your business but in this environment, you should consider an off-site backup solution. Losing all your data without a solid backup plan is one of the quickest ways to put yourself out of business. And if you lose customer data, you could open yourself up for a lawsuit. By that same theme, make sure you are training all your staff to be careful about their technology use. Train them to not click on anything that looks suspicious and don’t log on to any websites they are not familiar with. If you are running a service business such as consulting, you might not have much in the way of physical products. But if you are running other types of business such as a store or any type of repair business, you may have inventory that you need to keep track of. Make sure you have some type of inventory control system in place. While you like to think you can trust everyone in your business, you also need to keep track of everything to minimize any loses. If you don’t have a system such as a bar coding system for items such as parts, try to make sure you create a system that everyone can follow. Those out in the filed may be busy and forget to note that they put parts or other products on their tuck for example. Create a disaster plan for your small business. Communication should be first. It should have everything from employee phones numbers, an email list of all your customers, to even pre-crafted statements that you could edit if needed. You also may need to contact vendors, your insurance company and emergency specialists. You should also work with a reputable IT firm to make sure you are your team can work offline in the event of severe weather and power outages. And if your data is compromised, a way to get it back. There are many more ways in which a business can lose track of money and important assets. Make sure you are taking the time to analyze these situations and create a solid plan and systems to ensure your loses are at a minimum.